Irenie and Brodis Lambey run a farm in the North Carolina mountains in the late 1930's He is an ex-logger who has become a fundamentalist preacher and Irenie and their son Matthew toil on the land. When a female USDA agent comes to town to teach new ways of housekeeping and farming, Irenie is fascinated by a look at a different way of life for herself and her son. As she changes, Brodis comes to believe the dark ways of the devil has taken over his wife and his anger at all things government put his faith to the test. The outcome is explosive. Franks has captured the tone and cadence of this time and place perfectly and I found myself both spellbound and disturbed. It's 1939, and the federal government has sent USDA agent Virginia Furman into the North Carolina mountains to instruct families on modernizing their homes and farms. There she meets farm wife Irenie Lambey, who is immediately drawn to the lady agent's self-possession. Already, cracks are emerging in Irenie's fragile marriage to Brodis, an ex-logger turned fundamentalist preacher: She has taken to night ramblings through the woods to escape her husband's bed, storing strange keepsakes in a mountain cavern. To Brodis, these are all the signs that Irenie--tiptoeing through the dark in her billowing white nightshirt--is practicing black magic. 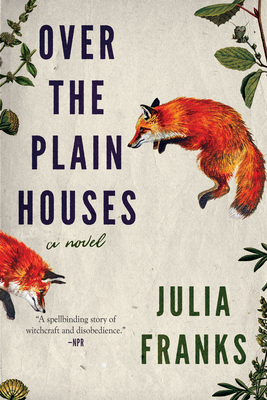 Working in the stylistic terrain of Amy Greene and Bonnie Jo Campbell, this award-winning debut by Julia Franks is the story of a woman intrigued by the possibility of change, escape, and reproductive choice--stalked by a Bible-haunted man who fears his government and stakes his integrity upon an older way of life. As Brodis chases his demons, he brings about a final act of violence that shakes the entire valley. In this spellbinding Southern story, Franks bares the myths and mysteries that modernity can't quite dispel. Julia Franks has roots in the Appalachian Mountains and has spent years kayaking the rivers and creeks of Tennessee, North Carolina, and West Virginia. She lives in Atlanta, where she teaches literature and runs loosecanon.com, a web service that fosters free-choice reading in the classroom.